To round the decimal number in java we have DecimalFormat class in java. By using DecimalFormat class format() method we can round double or float number to N decimal places. Lets see a java program on how to round double to 2 decimal places. Java Program to round double number to 2 / 3 decimal places. 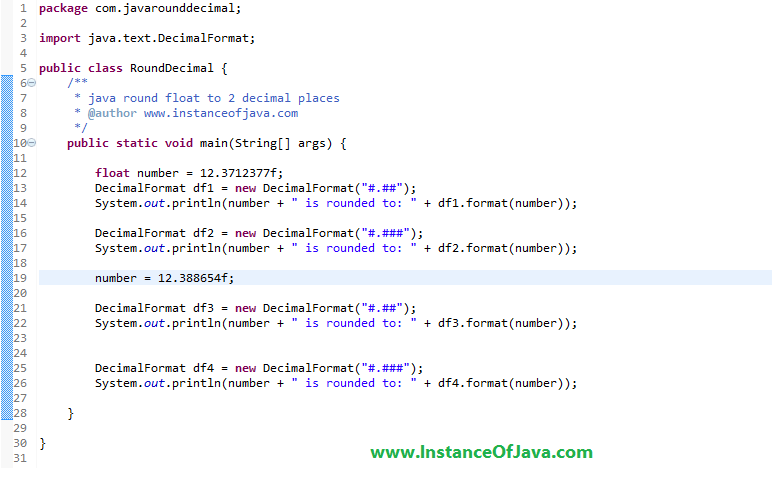 Java Program to round float number to 2 / 3 decimal places.